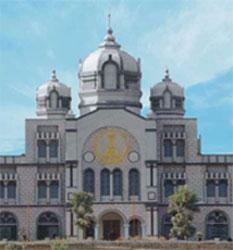 Sri Sathya Sai University provides free education to its students. Free Education: The University does not charge any type of fees - tuition fees, laboratory fees, library fees, examination fees, caution deposit and the like. An open admission policy enabling students from all over the country to seek admission to various courses, irrespective of income, class, creed, religion or region, making it truly national in character. Merit based selection through a very comprehensive testing and interviewing procedure giving adequate weightage to intellectual attainments and intuitive insight. A very favorable teacher-pupil ratio for closer rapport between students and faculty. Residential character of the University with students and faculty staying on the Campuses. Development of Scientific Research at the doctoral level relevant to the local and national needs; introduction of educational technology through the installation of a modern space theatre in rural surroundings providing an opportunity for the students and the faculty to develop various kinds of simulation exercises and also formulate programmes of a creative and constructive character. Integrated courses of five years duration in order to promote talent. Maximum number of working days, fuller utilization of national holidays and important festivals for educational purposes and extension work. Of the above, the Prasanthinilayam Campus is the main one, as it does not only have specialized research and computer facilities, but also the Central Library, the Multimedia Learning Centre, the Planetarium and the Museum of Eternal Heritage. This institute is built on strong foundations of academics and also spirituality, The focus is on academic excellence, with equal focus on overall personality development.